Hi Everyone! I just wanted to stop in and tell you about the awesomeness that is happening on Facebook this Sunday at 3:00pm (Central Time)! 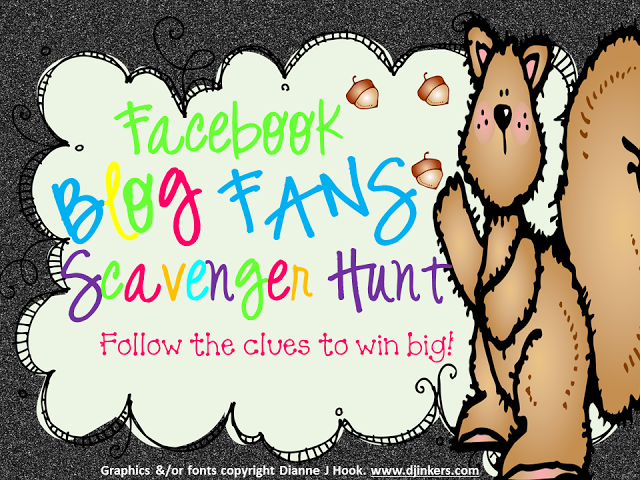 I have joined up with a few of my fabulous friends to host a FB Blog Fans for a scavenger hunt! Sounds fun right? 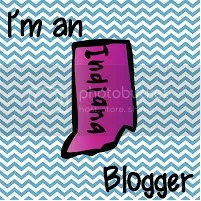 So here’s how it will work…There are 16 bloggers participating and each is donating a fan-ta-bu-lous prize! To win all you have to do is follow the clues and leave a comment on the person’s FB page with the correct answer. 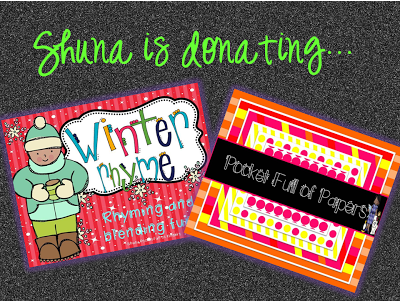 Pocket Full of Kinders will give the first clue on her Facebook fan page HERE at 3 p.m. central time this Sunday, January 6, 2013. Once you figure out what fabulous blogger her clue refers to leave their name or link in the comments! All fans who answer the clue correctly will be entered into the individual drawing as well as the big drawing! To find the next clue you will hop over to that person’s FB page, you can get to it by visiting their blog and clicking on the FB button in the sidebar, and read your next clue. There are 16 clues so that is 16 chances to win! There will be a winner for each clue! Each winner will then be put into the big drawing where they will have a chance to win it all! *You can comment between the times 3p.m. central time and 7p.m. central time. Pst, this may or may not be your little cheat sheet. Posted on January 5, 2013, in Uncategorized. Bookmark the permalink. 2 Comments. I am having a moment and can’t remember how to “follow” someone of FB! Can you help me�.I’ve looked but can’t find the button or link except to friend people so that’s what I’ve been doing. Thanks for the posts and the exciting Scavenger Hunt!